Welcome to Your Chippendale Locksmith! 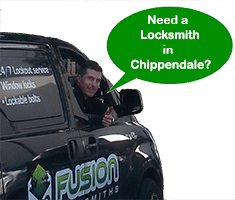 Fusion Locksmiths have 9 years of experience in the locksmith industry. We have been working in and around Chippendale fixing and installing thousands of locks, all with courteous service. Got a faulty lock? Fusion Locksmiths can un-jam a lock or install a completely new locking system. Large or small job? No bother. 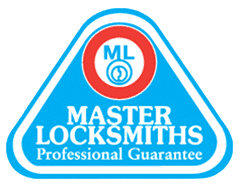 We have the capacity for all types of locksmiths services. We also work within your budgets and recommend financially sensible solutions to provide top security for your home or business. If you are lucky enough to live in the small suburb of Chippendale, nestled on the southern side of the city, you need to protect your loved ones and valuables with top security. Welcome to your local Chippendale locksmith. We give your security our highest priority. When something negatively impacts the security of your home and family, it becomes an emergency. At these times you need rapid response from a knowledgeable locksmith. As your Chippendale locksmith, we specialise in locksmith emergencies and know how to quickly restore your security. Fusion Locksmiths take care of every situation from lost keys to damaged or broken locks from a forced entry. Not only do we fix or change your existing lock, we also check the door, the door jamb and the windows for any damage. Our focused team are here to ensure you and your family are fully safe. We provide great workmanship and have the qualifications to go with it. Every one of our locksmiths has a security license, is fully insured and police checked. We are also well informed in the relevant security legislation and association standards. Stay safe with Fusion Locksmiths. 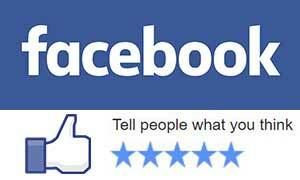 Always doing the best job has earned us tonnes of 5 star reviews. From cutting a key, installing window locks in your Chippendale apartment, intercom or auto security devices, each job will be performed to the highest of standards. Now it’s time to sit back and relax knowing your security is in good hands.